My oldest daughter participates once a month in a Catholic girls' club with other homechooled girls about her age where they meet to learn about a saint who embodies a certain virtue, then they do a craft, eat lunch and play for a bit. Last month was my month to suffer the hazing host the meeting, teach the lesson and prepare the craft. The problem was that I hated all the craft options in the teacher's book. 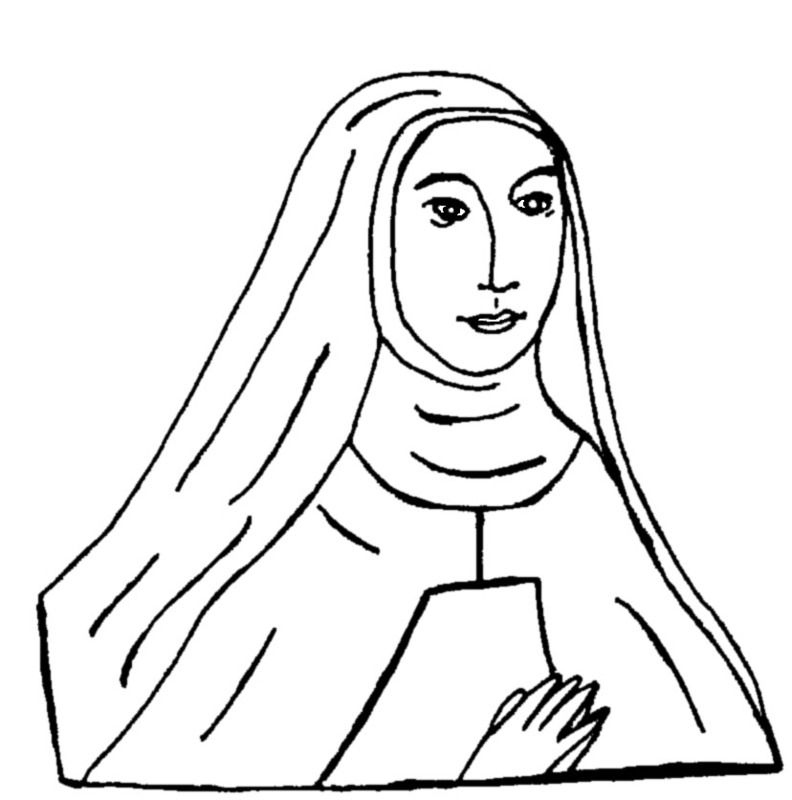 As some of you may remember, not too long ago the kids and I were studying Fra Angelico and made pictures of saints. Why not make an "icon?" I realize that writing a real icon requires years of training, fasting, prayer and some artistic talent, but creating a picture of the saint some what in the style of an icon is an achievable goal for little kids. Although not everyone is a renovator with a garage full of building supplies, we happened to have a lot of MDF left over from our upstairs trim work. (Yes, I would rather have used real wood for both the trim upstairs and this project, but budgets sometimes reign supreme.) We also have a lot of paint sitting in the basement waiting for a purpose. The golden yellow paint that the previous owner had used for the living room fit well with my plans. I suppose any color could have worked, but gold is often used as the background color on icons, because they are little windows to heaven. Next, we needed an image for the younger girls. Our group ranges in age from barely 5 up to 10. While the older girls might like to draw their own picture, I knew most of the younger ones would prefer to color. The only problem was that our saint of the day The Blessed Mary of the Incarnation isn't one you run across all the time, so I had to draw my own picture (which I grant permission for all to use for educational purposes). Although she doesn't have The Blessed Mary of the Incarnation, I highly recommend Charlotte's collection of coloring pages, if you are looking for someone else. Once I had the wood painted and the picture drawn, I also typed up a sheet with The Blessed Mary's name and the Bible verse the girls were supposed to memorize. I also cut out aluminum foil circles for use as halos. And then I compiled a packet for each girl with a block of painted wood, a coloring picture, a blank pre-sized paper if they wished to draw their own picture, an foil circle and the memory verse. When we'd finished the lesson portion, I told the girls we were making icons. Which none of them had heard of. So we had an impromptu art lesson and then moved on to the art making. With all the girls crowded around the dining room table, we got out the colored pencils, colored, cut and glued. Some of the younger girls may have given the Blessed Mary green skin and Carmelites have never been clothed in such colorful habits before, but the final result was a pleasing reminder of the lesson for each girl to take home. I don't think Leo III will be showing up, but I know plenty of iconoclasts. You are absolutely not going to believe this, but I was reading about painting icons last night and saved a link to share with you. My first thought was, Jordana would be great at this!